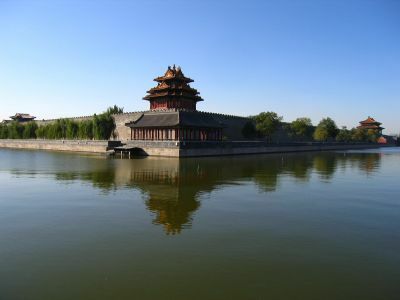 it was a very nice day in beijing, china when my pal ben and i went to tour the forbidden city, the former temples and palaces of the emperors. 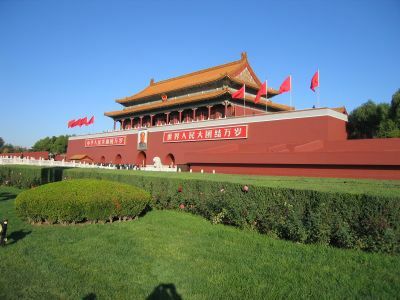 chairman mao's mug hangs above the entrance arch. 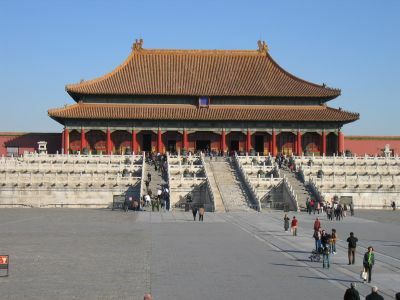 the forbidden city is pretty much made up of several buildings just like this one. you walk through one, then down the stairs to a square, then up the stairs to the next one, then through it, then down again, and so on. pretty cool drainage system for the rain - these dragons, something like 8000 of them, shoot the excess water out through their mouths. almost made me wish it was raining that day. 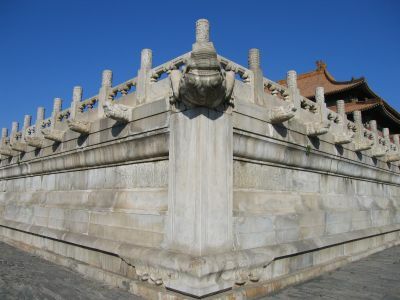 the detail of a temple. great colors. 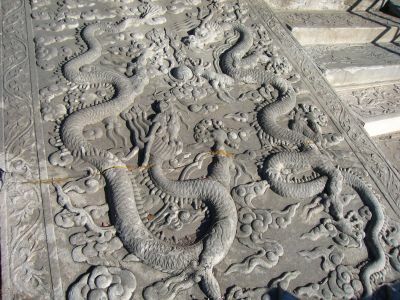 the carvings in the tiles throughout the forbidden city are spectacular. 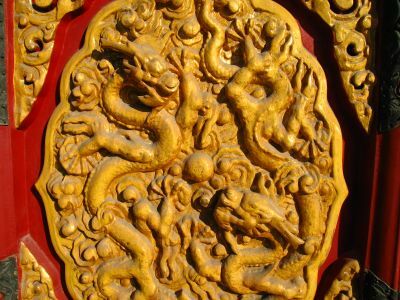 dragons everywhere. 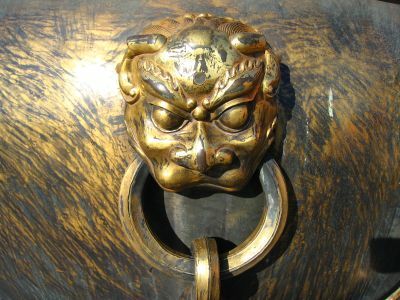 some cool detail on these huge bronze pots in the fb city. 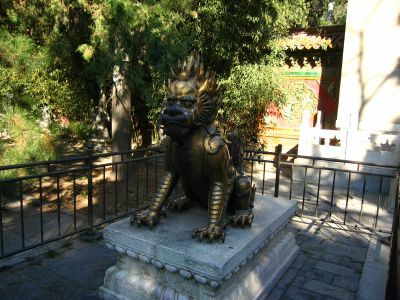 in the very back of the forbidden city, there was a really peaceful garden with twisting, narrow paths, sculpted bushes, flowing water, and dragon statues. it was by far the best part of the city. 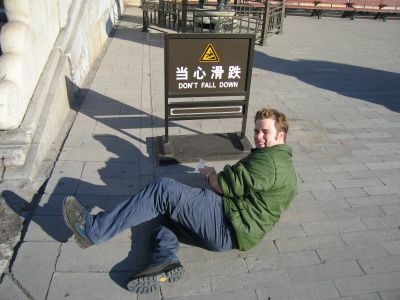 it's where the emperors went to chill out. a moat surrounds the fb city.